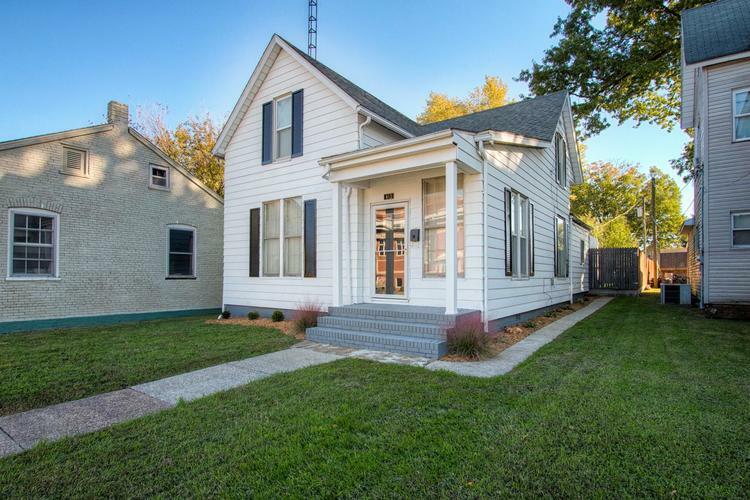 Gorgeous updated home with a lot of character and charm just a half a block from historic Huntingburg. Enjoy the peaceful, privacy-fenced backyard from the large covered porch. The kitchen has been updated with new counter tops and a tile backsplash. The main-level master suite includes a full bathroom with a tiled shower. Laminate floors are found throughout the main level. All the lighting in the home is updated LED. There is plenty of space for parking with both the garage and adjacent parking area off of the alley. Hurry, this gem won't last long.